Bulk SMS - Reliance pushes to Individuals what Bharti drops.. Bulk SMS – Reliance pushes to Individuals what Bharti drops.. Bulk SMS Business has been in news recently, especially after Bharti Airtel decided to quit it, in a bid to boost their image in front of subscribers. Now, where Bharti has dropped it, Reliance is pushing it aggressively. Reliance has now created a Do-it-yourself (DIY) model where an individual subscribers can send Bulk smses from Reliance Broadband Portal. 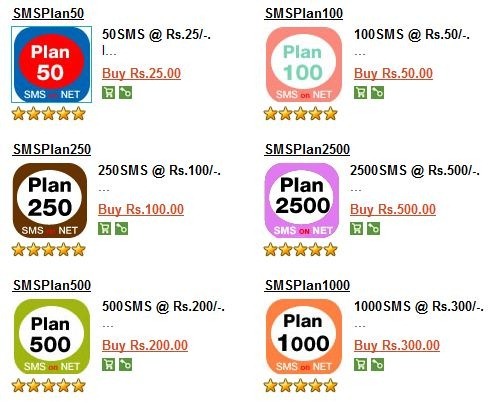 I purchased a 100 SMS pack and it was extremely easy, Individuals can buy the packs of their choice and start sending Bulk smses through internet in less than 5 minutes. Although, the pricing is not cheap, I am sure small business will find it quite attractive who want to send a few hundred messages every now and then. I doubt this service will be used for mass smsing, so once cannot really say that this will increase spamming. I find the service quite interesting and would be useful to select group of users. What is your opinion on this Reliance Bulk SMS service ? Competitive Advertising – Creating controversy to get Maximum Eyeballs!! Rising luxury car sales moving India up the elite club? RCom Counters Jio By Launching Unlimited Calling Packs Starting Rs. 149! RCom CDMA Users Will Soon Be Upgraded To 4G! SMSdaak’s low cost multi gateway sms api that can not only be used to send sms to millions of people every day but also can be easily integrated into software applications and e-services like job sms alerts from websites, e-travel status and a lot other. The api is available for free for every customer. The service feels and looks great. It so easy to use and navigate. Prices are very comparable to other websites, keeping in mind that I just want to message my friends and family – so no one sells sms for as low as 25 rupess. However the best part is no credit card, no DD required….the cost is added to my broadband bill. Once again, a smart move by the telco.. this time from Reliance. Because, rarely, the bulk sms guys will be interested to serve for a deal value of Rs. 25 or even Rs 100. Even if they sell at the same price as that of Reliance, they can not make profits because of higher operational & acquisition costs. However, for Reliance, selling it to huge people will not be a problem. And they can still make good money out of it..
Let’s see how it goes and how other telcos react to this, especiall Tata.. Frankly this is way too costly..
there are literally 100s of portals offering bulk smses at just 5ps or 3 ps flat.. starting from Rs500 so considering what reliance is offering is quite costly. coz on mobile they have a plan of rs19 which gives 1ps per sms.. which works out to be very cheap. wonder why bulk sms would be so costly!? But as you said it is very significant on the background of airtel discontinuing the service..